LE COMTE DUPRÉ, JEAN-BAPTISTE, merchant, militia officer, seigneur, office holder, and politician; b. 25 Feb. 1731 in Montreal (Que. ), son of Jean-Baptiste Le Comte* Dupré and Marie-Anne Hervieux; d. 5 May 1820 at Quebec, Lower Canada. 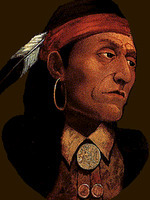 Jean-Baptiste Le Comte Dupré belonged to the third generation of a family of merchants which had been in the fur trade since the end of the 17th century. His grandfather, Louis Le Conte* Dupré, had built up the enterprise that his father inherited in 1715. The interplay of marriages had helped create a broader network of relationships for the family, which could therefore rely on support from important mercantile families in Montreal: the Hervieuxs, Magnans, Courreaud de La Costes, Babys, Charly Saint-Anges, Pothiers, La Cornes, Gamelins, and Quesnel Fonblanches. Consequently Le Comte Dupré grew up in a commercial milieu, and it seems certain that he acquired a knowledge of business at his father’s side. 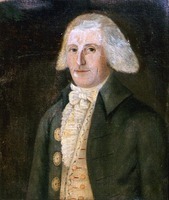 In 1755 Le Comte Dupré received a commission as captain in the Montreal militia. By 1758 he had established himself at Quebec, where his mercantile activities were probably conducted as his father’s business representative. There, on 13 July 1758, he married Catherine Martel de Brouague, the 15-year-old daughter of François Martel* de Brouague, commandant of the Labrador coast, and Louise Mariauchau d’Esgly. Through this marriage Le Comte Dupré extended his connections with commercial and governmental circles. Gaspard-Joseph Chaussegros* de Léry, the bride’s brother-in-law, Louis-Philippe Mariauchau* d’Esgly, her uncle, as well as her cousins Eustache Lambert Dumont and Joseph and Étienne * Charest, were present, along with other guests, at the signing of the marriage contract on 8 July. Le Comte Dupré put half his fortune into the joint estate, contributing 30,000 livres, derived from his inventory of merchandise, accounts receivable, and cash. The bride brought a dowry of 26,000 livres consisting of 6,000 livres that her father was to pay her in four years and an annuity of 1,000 livres a year. The couple took up residence in Montreal, where their first four children were born. In 1764, the year after the signing of the Treaty of Paris, Le Comte Dupré had a pessimistic view of the consequences of the change in régime, which, he said, “is going to cause a terrible upset in the colony and will complete our ruin.” His fears were based in good part on the uncertainty surrounding the redemption by France of playing-card money, since he himself had put no less than 91,609 livres into it. He was also worried about the possibilities of pursuing his commercial ties with the West Indies, as well as with French merchants in Bordeaux, La Rochelle, and Paris. And he was concerned about the conduct of the Indians at Detroit (Mich.) [see Pontiac*], who “are in no better humour than last year,” and about the effects of this situation on the fur trade. Le Comte Dupré envisaged settling permanently at Quebec. In 1764 he contracted to have a house built for himself at the corner of Rue Saint-Pierre and Rue du Sault-au-Matelot; he entrusted supervision of the work to Jacques Perrault*, known as Perrault l’aîné. Two years later he moved into his new home. From Quebec he carried on his trade in wood, spirits, wheat, and furs. As an experienced businessman he kept himself well informed on commodity prices, inquired about the competence and honesty of his employees, and made sure he secured a satisfactory return on his goods, which he sold in Quebec and Montreal. In 1769 he began to invest in real estate with the purchase of the sub-fief of La Maringouinière, in the seigneury of Lauson, and a property near the Rivière Saint-Charles, where he bought a further 60 acres in 1770. He also acquired a lot on the Côte Saint-Jean, near Quebec, that year. 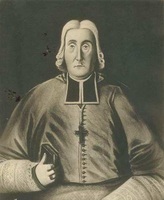 In 1774 Le Comte Dupré’s fellow Catholics recognized his social position by appointing him the first churchwarden of the parish of Notre-Dame in Quebec. This office put him in a position during the winter to bring the bishop of Quebec, Jean-Olivier Briand*, and the churchwardens together again. Since 1764 the latter had been opposed to the fact that their parish church also served as the cathedral. 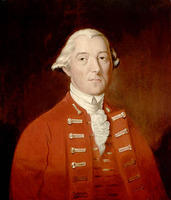 During the American invasion of 1775–76 [see Benedict Arnold; Richard Montgomery*], Le Comte Dupré, like his brother Georges-Hippolyte*, openly displayed loyalty and devotion to the British crown. In September 1775 he became a major in the Quebec militia. In the course of a routine patrol in November, when Arnold’s army was camped outside the gates of the town, Le Comte Dupré is said to have discovered a plot devised by three militia sergeants. He is supposed to have immediately warned Lieutenant Governor Hector Theophilus Cramahé*, who had the traitors imprisoned. This action would explain the reprisals by the Americans, who pillaged Le Comte Dupré’s properties and seized the wheat, flour, and various effects on the sub-fief of Argentenay, on Île d’Orléans, which belonged to his wife. 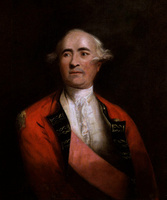 However, in recognition of his services Governor Sir Guy Carleton appointed him colonel in the militia of the town and district of Quebec on 4 March 1778. In October of that year Le Comte Dupré sailed for England with his 17-year-old son Jean-Baptiste. 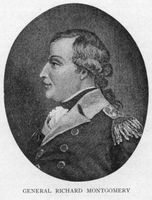 There he talked with Lord George Germain, the secretary of state for the American colonies, informing him of the losses he had suffered during the American invasion. He returned to Quebec in July 1779. He must have made a good impression, since Germain suggested to Governor Haldimand that he be given a seat on the Legislative Council and be indemnified for the pillaging of his properties. In July 1783 Le Comte Dupré purchased his brother-in-law William Johnstone’s share in the sub-fief of Argentenay for £500 in cash. Two years later he became a justice of the peace, and his commission was renewed in 1786. He was appointed a member of the Legislative Council that year, and held this office until 1792. He gives the impression of having been rather conservative. In 1788, for example, he opposed the setting up of a house of assembly. He signed the numerous addresses of welcome or farewell to colonial administrators. In 1794 he joined the Association, which had been founded to support the government, and signed the declaration of loyalty to the British crown. During the 1790s Le Comte Dupré reoriented his business career. He apparently forsook trade to become a money-lender. Between 1790 and 1799 he lent more than 57,320 livres to people living in the Quebec region. The debtors, who were mostly in rural areas, borrowed from him, either as individuals or in groups of two or three, amounts ranging from 200 to 3,000 livres, which were used to consolidate a debt, buy a farm, or purchase rights of succession. Le Comte Dupré made these loans for periods of three to five years at the legal rate of interest of six per cent. In 1797 Le Comte Dupré was named police inspector in Montreal, replacing his brother Georges-Hippolyte, who had died that year. This post seems to have been a sinecure since he stayed at Quebec, where he continued to engage in business. His wife, who was said to be “blessed with all the social virtues, and with the equanimity that characterizes a charitable and liberal heart,” died on 12 Dec. 1801. Five of the ten children born to them had not survived infancy. Three daughters had married: Catherine the seigneur of Beauport, Antoine Juchereau Duchesnay, Françoise an officer in the British army, John Francis Le Moine, and Marie-Angélique a lawyer, Jacques-François Cugnet. Jean-Baptiste never married, nor did his sister Louise-Charlotte. In 1806 Le Comte Dupré rented his house on Rue du Sault-au-Matelot to François Boucher, port captain of Quebec, for £90 a year, and moved to Rue Saint-Louis in Upper Town. Despite his 75 years he continued to manage his affairs. In 1816–17 he lent £1,190 to people living in the region. He also was busy collecting arrears of cens et rentes from his censitaires on Île d’Orléans and attending to the renting of the seigneurial mill. Jean-Baptiste Le Comte Dupré died at Quebec on 5 May 1820. His funeral service was sung in the chapel of the Séminaire de Québec; his body was then taken to Saint-François, on Île d’Orléans, where it was buried on 9 May under the seigneur’s pew, in keeping with the family’s wishes. The following year his personal and real estate were put up for sale by his daughters, who had inherited them; his only son had died in 1817. ANQ-M, CE1-51, 25 févr. 1731, 1er août 1759, 7 août 1761, 5 déc. 1762, 19 mars 1764. ANQ-Q, CE1-1, 13 juill. 1758; CN1-25, 13 oct. 1777; 28 déc. 1780; 5 avril 1781; 10 janv., 19 oct. 1782; 9 juill., 21 août 1783; CN1-79, 8 juill. 1758; CN1-83, 15, 16, 22–24 juin, 2, 3, 5, 6, 9, 10, 14, 17, 19, 21, 22 juill., 7, 14, 31 août, 10 sept. 1790; 31 janv. 1793; 1er, 8 juill. 1794; CN1-178, 23, 24, 27 juin, 11 juill. 1796; 29 janv. 1806, 23 déc. 1809; CN1-205, 10 oct. 1782; CN1-207, 8 janv., 1er mai 1770; 4 oct., 13 nov. 1773; CN1-212, 11, 12 nov. 1817; 10, 23 juin 1818; CN1-230, 5 déc. 1794, 31 mars, 8 avril, 8, 15, 23, 30 juin, 12 août, 5, 14, 23 sept. 1795; 23–25, 29 févr., 1er, 9 mars, 6, 8, 12, 13, 23 avril, 24 mai, 13, 14 juin 1796; 21 juin, 17 août, 11 oct. 1797;11, 23 janv., 22 mai, 21, 22 juin, 11, 24 juill., 27 août, 4 oct. 1798; 18 févr. 1799; 16, 17, 25 sept. 1806; 9, 13, 15–19, 22, 29 avril, 7 mai 1816; CN1-248, 23 août, 1er sept. 1769. AUM, P 58, U, Le Comte Dupré à Baby, 7 avril 1766; 14 mai, 10 sept. 1767; 16 avril 1768; 12, 19 avril, 3 mai 1770; 10 févr. 1774; 26 oct. 1775; 4 mai 1800; Le Comte Dupré à Perrault l’aîné, 24 mai, 15 oct. 1764. “État général des billets d’ordonnances” (Panet), ANQ Rapport, 1924–25: 337. Quebec Gazette, 29 Sept. 1766; 7 Sept. 1775; 12 Dec. 1776; 10 July 1777; 29 Oct. 1778; 12 May, 24 Nov. 1785; 29 June 1786; 13 Nov. 1788; 15 Jan. 1789; 3 July 1794; 21 Dec. 1797; 17 Dec. 1801; 1 March 1821. Claude de Bonnault, “Le Canada militaire: état provisoire des officiers de milice de 1641 à 1760,” ANQ Rapport, 1949–51: 447. “Papiers d’État,” PAC Rapport, 1890: 116, 118, 230. Quebec almanac, 1788–1820. P.-G. Roy, La famille Le Compte Dupré (Lévis, Qué., 1941).”Le Compte Dupré,” BRH, 6 (1900): 249–50. 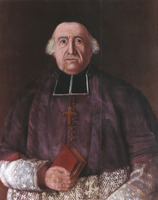 P.-G. Roy, “La famille Martel de Brouage,” BRH, 40 (1934): 513–49; “Jean-Baptiste Le Compte Dupré, seigneur d’Argentenay,” BRH, 33 (1927): 705–7. Henri Têtu, “Le chapitre de la cathédrale de Québec . . . ,” BRH, 16 (1910): 65–75. Céline Cyr, “LE COMTE DUPRÉ, JEAN-BAPTISTE (1731-1820),” in Dictionary of Canadian Biography, vol. 5, University of Toronto/Université Laval, 2003–, accessed April 26, 2019, http://www.biographi.ca/en/bio/le_comte_dupre_jean_baptiste_1731_1820_5E.html.